Chictopia is the largest source of fashion inspiration on the web. 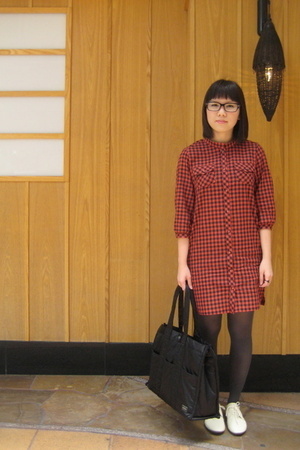 The keita maruyama trend is rocked by blogger ugg with black lowrys farm dresses, white muji shoes, black keita maruyama glasses. to vote on ugg's look.